According to statistical data gathered by the National Safety Council, slip and falls account for one-third of all non-fatal injuries in the U.S., As a result, they are also among the top 5 most common personal injury claims. Slip and fall cases are classified as a type of premise liability claim. Under the umbrella of premise liability, a wide range of fact-specific scenarios are presented, from defective conditions on the premises, inadequate maintenance of the premises, to the more common, slip and fall cases. The fundamental theme of a premise liability claim involves being injured while on someone else’s property. For this claim to be successful, there must be an established duty owed, someone failed to fulfill that duty, and someone suffered an injury as a result of the unfulfilled duty; in legal parlance, this is called “negligence.” To avoid being negligent, a property owner, occupier, or manager (“landowner”) has an obligation to keep their premises safe for lawful visitors. In this context, a lawful visitor is one who is on the premises with the landowner’s permission or by legal right. Conversely, if the visitor is classified as a trespasser, he or she may be unsuccessful in holding the landowner liable. In North Carolina, a premise liability claim requires the plaintiff to show that the defendant either: (1) negligently created the condition causing injury, or (2) negligently failed to correct the condition after actual or constructive notice of its existence. Goynias v. Spa Health Clubs, Inc., 558 S.E.2d 880 (2002). The ultimate issue in evaluating the merits of a premise liability claim is whether the landowner breached the duty to exercise reasonable care in the maintenance of their premises for the protection of lawful visitors. Here, reasonableness is judged against the conduct of a reasonably prudent person in similar circumstances. Therefore, it is not to say that a landowner must undergo unwarranted burdens in maintaining their premises, rather, it imposes on them only a duty to exercise reasonable care in the maintenance of their premises. Roland v. N.C. Dept. of Ag. and Consumer Serv., 756 S.E.2d 788 (2014). For instance, the N.C. Department of Agriculture, and operators of the 2004 Fair, did not breach their duty of care under a premise liability claim when a child was infected with E. coli after interacting with animals at the petting zoo hosted by the state fair. The Court held that because there was no known process or system to completely eliminate the risk associated with E. coli, the standard of care implemented by officials (signs instructing zoo patrons to wash their hands before and after touching the animals, and sanitizing stations) were sufficient to minimize the risk of exposure to E. coli. Id. Thus, the zoo officials met the standard of care widely practiced at the time. For purposes of premise liability, “duty” is an obligation, recognized by the law, requiring a person to conform to certain standards of conduct for the protection of others against unreasonable risk. Gregory v. Kilbride, 565 S.E.2d 685 (2002). The standard of care extends only to causes of injury that were reasonably foreseeable, and avoidable, through the exercise of due care. The standard of care varies from one type of establishment to another because of the types of activities that may be involved, and the foreseeable characteristics of the lawful visitors. Fussell v. N.C. Farm Bureau Mut. Ins. Co., 695 S.E.2d 437 (2010). Therefore, the standard of care may differ in a restaurant or retail store, from a construction site or a friend’s house. Additionally, the degree of care may be imposed by statute, ordinance, or industry customs. A landowner may even be charged with a higher level of care for harmful conditions that he or she has reason to know are likely to attract children; this is called the “doctrine of attractive nuisance.” Note, however, in the event of an emergency, the law may excuse a departure from the care and judgment required under normal circumstances. Nevertheless, the general standard requires a landowner to take reasonable precaution to ascertain the condition of the property and to either make it reasonably safe or give warning as may be reasonably necessary to inform visitors of any foreseeable danger. A landowner may be liable for failing to correct a potentially harmful condition after actual or constructive notice of its existence. The landowner is considered to have “actual notice” when he or she has direct knowledge of a fact. An example of actual notice is when a landowner knows that several bricks that make up the steps to his front porch are lose and unstable. Failing to repair these unstable bricks can result in liability if a lawful visitor enters the premises and is injured as a result of the un-repaired steps. Similarly, “constructive notice” is knowledge of a fact imputed by law to a person because the fact could have been discovered by proper diligence, and the situation was such as to impose a duty to inquire. Evidence of constructive notice could be proved by showing the duration of a dangerous condition, or circumstantial evidence which could allow for a reasonable inference as to the duration a condition existed. For instance, a black banana peel suggests that it existed long enough that a store employee should have noticed it upon proper diligence, and perhaps may have prevented a shopper from slipping and falling. Accordingly, if there are dangerous conditions that the landowner knew or should have known about, he or she may be liable for injuries that visitors suffer. Conversely, a landowner is under no duty to protect or warn lawful visitors of dangers either known or so obvious and apparent they reasonably may be expected to be discovered; this is known as the “open and obvious doctrine.” For example, it is assumed to be common knowledge for care and extra caution to be taken when walking around the shower area of a locker room, especially when soapy water may be on the floor indicating the floors could be slippery. Thus, when a visitor slipped on the floor and injured himself, the landowner, or gym owner, did not face liability because “a proprietor has no duty to warn a visitor of an obvious danger or of a condition of which the visitor has equal or superior knowledge.” Goynias v. Spa Health Clubs, Inc., 558 S.E.2d 880 (2002). Further, there was no evidence to prove that the gym owner neither negligently created the situation that caused the visitor’s injury, nor did he have actual or constructive notice of the puddles that formed on the floor. In this situation, a reasonable person is assumed, absent any diversion or distraction, to be vigilant in the avoidance of injury in the face of a known or obvious danger, such as a soapy floor surrounding a shower. In some cases, similar conduct may be classified as contributory negligence, a doctrine recognized in North Carolina that bars a person from recovering for injuries that resulted from their own negligence. Because these cases are so fact-driven, understanding the fundamental concept that a landowner is responsible for maintaining safe premises and/or warning of known dangers, you may be able to recover damages for pain and suffering, mental anguish, medical bills, future medical expenses, lost income, and permanent disability. 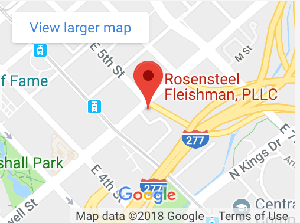 The lawyers at Rosensteel Fleishman, PLLC are committed to providing clients with high quality legal service, personal attention, and representation. The law for premise liability in North Carolina is exceedingly complex. It is built on decades of case law with numerous hidden traps to hurt or waive an individual's claim. We highly recommend speaking with a competent lawyer before speaking with an insurance company. Please call as at (704) 714-1450. There is no fee to speak with an attorney. We will discuss your case and go over your rights and options.